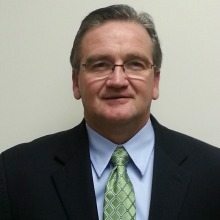 Array Information Technology (ARRAY), an IT solutions company based in Greenbelt, Md., last week announced it will partner with BIAS Corporation to provide a business intelligence technical refresh to the U.S. Air Force’s Deliberate Crisis Action Planning and Execution Program (DCAPES) program. The war planning and execution technical refresh solution aims to minimize operational costs, implementation risks and the corresponding infrastructure footprint while simultaneously expanding the user base of the business intelligence tool. BIAS is a Platinum Oracle solution provider. Brian Knott, a Defense Client Executive at ARRAY, said the company is thrilled to have received the opportunity to overhaul the U.S.A.F.’s business intelligence capabilities for their crisis planning and execution mission. ARRAY in February appointed Blair Vorgang as client executive to lead the company’s Army and Nay business efforts within its Defense Systems group. Read on.